Data breaches and password dumps have become an unfortunate and common part of online life. That said, there are lots of ways to keep yourself protected Password Leaks Are Happening Now: Here's How to Protect Yourself Password Leaks Are Happening Now: Here's How to Protect Yourself Password leaks happen all the time, and there's a chance one of your accounts will be involved, if it hasn't happened already. So what can you do to keep your accounts safe? Read More including keeping an eye out for leaks that could involve your accounts. Have I Been Pwned is a site that is trying to keep all that data in one place. The site was created by security expert Troy Hunt to make it easy for users check if their email address has been included in any email and password dumps. One of its latest tools give you the the ability to check if the passwords you’ve used in the past have been leaked. Go to the Pwned Passwords section and enter your old passwords to see if they have ever appeared in a data breach. As Hunt points out, you definitely don’t want to use this site for any passwords you are currently using. This is a great way to check if a password you’re planning on using has been included in any breach in the past. 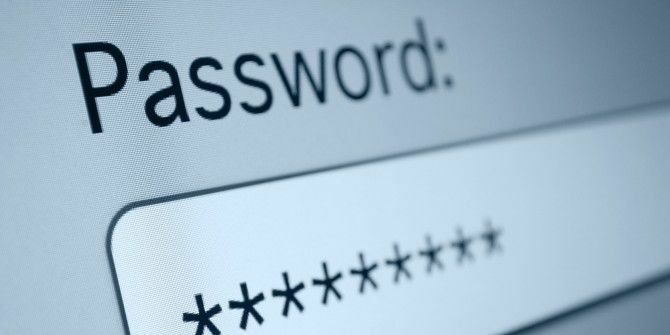 And if your choice of passwords keep showing up in the database, you should consider using a password manager 7 Clever Password Manager Superpowers You Have to Start Using 7 Clever Password Manager Superpowers You Have to Start Using Password managers carry a lot of great features, but did you know about these? Here are seven aspects of a password manager you should take advantage of. Read More to generate stronger passwords. Have I Been Pwned was created by someone who is well-known in security circles and has built a reputable name for himself. So while using his site is likely safe, if other sites offer a similar service, you should be skeptical of password harvesting. Always think twice about putting your email or password into any sort of database search. If you want to hear more from Troy Hunt about his website, you can listen to Episode 91 of the Gimlet Media podcast Reply All in which he helps the team as they try to unravel the mystery of how one New Yorker’s Uber account was being used in Russia. Did you find any of your old passwords on Have I Been Pwned? What do you do online to protect yourself from online breaches? Let us know in the comments.